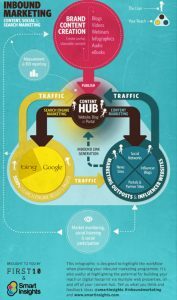 We have mentioned numerous times that Inbound marketing is critical, but in order to use it correctly, you need a schedule that works. Planning ahead makes things run faster, smoother and gives you better results. Keeping a calendar and daily schedule is a must, but there are many ways to go about it. There are 3 different levels that you need pay attention to when it comes to keeping a schedule for your marketing: Daily, Weekly, and Monthly tasks. Read more below. The day can go by fast and before you know it it’s 5 o’clock and you still haven’t accomplished half of what you needed to. It doesn’t have to be that way and the main way to change this is to keep a tight schedule. If you make a habit of creating a daily to-do list (whether it is on your phone, computer, or hand written) things will seem to get done a little faster. A general daily to-do list may look something like the one below. If you have great results then see how you can do what you are doing even better. If your analytics show weak areas, change things up in order to see improvement. You should be checking the analytics for your main website, blog, e-mail campaign, and social media. 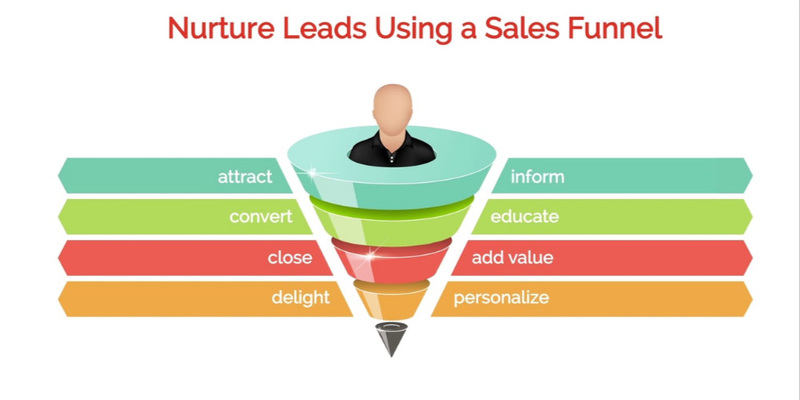 The most important thing to check is where your leads are coming from. Once you know that, you can see how to make your message more targeted to this group and how to gain the attention of those currently uninterested. You want to check your e-mail early in the day and figure out what needs attention and what can wait. Don’t let the e-mail pile up or you will end up getting lost. If you typically receive a large quantity of e-mails everyday you may need to create folders in order to keep things organized. Make a list of what needs to get done during the day and what is the most important. Once you tackle something, cross it off and move on. There are many websites that can help you organize your list digitally. Read one of our older blog posts 5 Tips For Organizing Your Daily Tasks to help with this. Go through your notifications and respond if necessary. Then add your thoughts or some pictures and take a few minutes to interact. Make sure to check back throughout the day when you get a free minute or two. After awhile you may find that at certain times you have a free minute that you can schedule for social media. For instance you may want to physically put on your list to post on social media at 10am, noon, 3pm, and 6pm. This way it will become a habit and will push you a little more to stay on top of it. 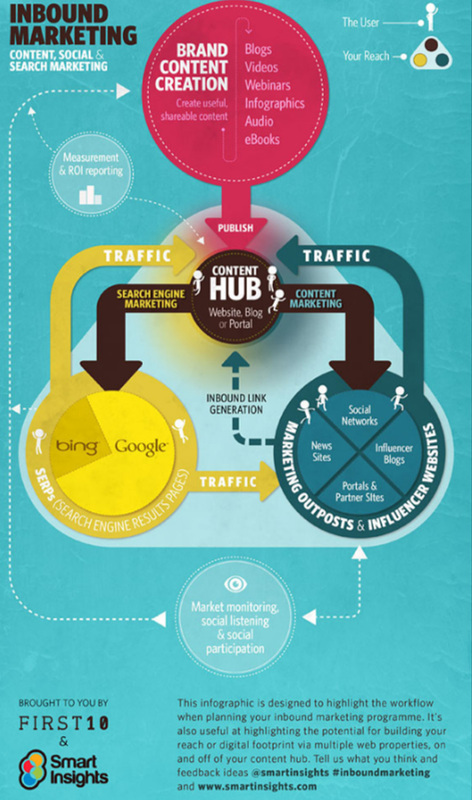 Content is the center of inbound marketing. If you aren’t updating and adding new content periodically you will put yourself behind the game. This means adding interesting and relevant content on your website, blog, and social media. You may not have time to add something daily, but if you aren’t staying consistent with your updates it will have a negative effect on your business. Weekly you should assess the same tasks as you do daily with a few additional items added to it. Look at the analytics for the past week and see if it improved. You should also do a weekly scan of your e-mail folders and delete anything that you have already taken care of or don’t need anymore. Update your to-do list and see if you can improve your task completion process. Once the basics are assessed, look into the additional tasks below. This is an effective way to get better SEO and gain a bigger audience. Find a blog that relates to your field, but is not in direct competition with you. See if they would feature your content on their blog. This way you can “borrow” their audience and hopefully attract them to your own blog. Since someone else has a link to your website, it will also help your Google rankings. It is also a good idea to feature other blogger’s posts on your blog in order to spice it up from time to time. This can be done weekly or monthly. Just remember, don’t post duplicate content. That means if you write a blog post for someone else, don’t post it on your blog as well and vice versa. Doing so will negatively affect your ranking. Other than guest posts, there are other ways to offer something different to your audience. Write about a topic you don’t normally discuss, add pictures, videos, or even DIY projects. What you add will all depend on your industry and the type of business you have, but the point is that you want to get creative with it. Do the same for your main website and social media. Try a new technique and see what type of results you get. Try a new promotion or ad, start up a newsletter, find out what you haven’t done and try it out. Every so often you should take some time to reach out to other bloggers, people on your e-mail list, or participate on forums. This can be done every weekend or maybe a few times a month. The more time you spend on it the better, but it is just important you make up some type of schedule. You should be commenting on blogs, offering advice on LinkedIn discussion boards, sending out e-mail newsletters, and connecting to people on your social media pages. Adding your own content is important, but commenting and interacting with others is just as important. You might hate meetings, but having a weekly or monthly meeting can help things run a little smoother. Getting everyone together will allow you to discuss what has been done already and what still needs to be implemented. Everyone needs to be on the same page and ensure there is no miscommunication. Make sure that you have an outline of what will be discussed before going into the meeting. That way you can stay on track and avoid going off topic. After the meeting everyone should know what their job is and have a goal to reach. If you can, once a month you should do something to strengthen your skills or learn something new. This can be done by attending seminars, joining business groups, or going to events. Not only is it important to do this for networking purposes, but it can help you become a better business professional. There are always things we can improve upon and skills we can learn, so take the time every so often to better yourself. Basically, tackle one task at a time. Work may be overwhelming and it may seem that everything is coming at you all at once, but you can still only do one thing at a time. Don’t panic when work gets chaotic. Instead, make a plan and stick to it. Focus is key, so don’t get distracted by everything going on or else you won’t be able to even get one task completed. Understanding this alone can increase the amount of things you get done everyday. For example, you could be tweeting all day long, but if it is not engaging or attracting anyone, it won’t be very effective. Plus, you don’t want to spend too much time on one thing. If you tend to spend most of the afternoon on the phone talking to customers and don’t have enough time leftover for other activities figure out a way you can cut that time down. Everyone’s marketing plan is different. You need to continually test your strategy to see what works and what doesn’t. No matter what kind of business you own or work for, it is always crucial to make a schedule and stick by it. It may take awhile to get used to, but once you get in a rhythm you can accomplish a lot more than you might expect.